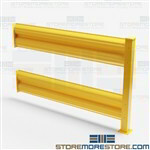 Industrial guardrails and forklift safety barriers provide protection for employees, machinery, and other equipment and pedestrians from falls or accidents. 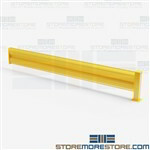 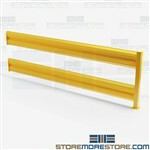 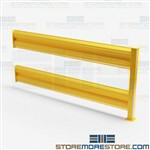 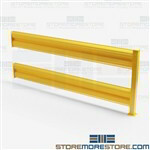 Guardrails are powder coat painted OSHA safety yellow and available in single and double-rails. 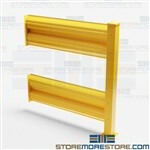 Components bolt together and are easy to install, move, or add to in the future. 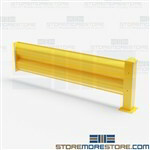 This 1:05 minute video shows the versatility of industrial guard rails and safety barriers to protect employees, machinery, and equipment.